Calling all students! Have you considered studying abroad as part of your college experience? If you have, this post is for you. If you haven’t, we highly recommend it. It came as no surprise to us to find that the number of students who opt to study abroad has been on the rise for the past several years. These days, 10% of US graduates study abroad in different locations all over the world, according to the Association of International Educators. If you’re looking to have the time of your life while studying abroad, Australia is the spot for you. During your time in Sydney, some of the most important items on your to do list will likely include surfing, snorkeling, skydiving, and other epic outdoor adventures (but don’t forget to study too!). You can opt to do all of those things in Sydney, or easily head to other parts of Australia to explore the Great Barrier Reef, the Outback, or Byron Bay. While you’re on that side of the world, hop over to New Zealand. It’s a (relatively) quick trip – just 3-4 hours by plane – and it’s well known to be one of the most beautiful places in the world. Because of its robust aquatic life, Australia is known to be an excellent place to study marine biology, if that’s what you’re interested in. Plus, to top it all off, Australia is English-speaking, so you don’t have to know another language to get by. Aix-en-Provence is a gorgeous town located in the South of France, and it also happens to be a noteworthy student hub. With several universities scattered throughout the town, some offering a general curriculum and others focused on specific subject areas like political science or art history, there are plenty of options for students to choose from. In Aix, as it’s called by the locals, you’ll be fully immersed in French culture, cooking with local ingredients from the local market, exploring painter Paul Cézanne’s workshop, and hiking Monte Saint Victoire (one of Cezanne’s most famous subjects). Aix is much less expensive than Paris and offers a lot of other perks. One is that Aix is located just a bus or train ride away from other amazing weekend and day trips. To name just a few, the famed lavender fields of Avignon are less than an hour away. The port town Marseilles is an even shorter distance, and the stunning blue waters of the Calanques in Cassis and the gorgeous coastline in Nice are each just over an hour away. You can also very easily get to Paris by train for a weekend, if you’re into that. One important note: Though you don’t need to be fluent, it will help if you’ve studied French in some capacity before studying abroad in Aix, as some of your classes may be in French. The capital city of Argentina, Buenos Aires, is the country’s most popular destination for students studying abroad. The city is known for its epic nightlife, centered around tango dancing and excellent food. And if you’re traveling alone, it won’t be hard for you to find others to partake in those activities with you, either. The expat community in the city is both huge and notoriously friendly, as are the locals. Taking in Buenos Aires’ rich and dynamic history will be enough to keep you occupied for weeks on end, whether or not you’re a history buff. Located in Latin America, Spanish is the official language of Argentina. If you’re interested in getting comfortable reading, writing, and speaking a second language, Spanish is one of the most useful options, as it’s the official language in 21 countries and spoken by many globally. If you really want to take your study abroad experience to the next level, check out Semester at Sea. Throughout the course of one semester, for 106 days, you’ll visit 13 cities, in 11 countries, on 4 continents. It’s an epic journey, to say the least. It’s run by the Institute for Shipboard Education (ISE), a 501c3 based in Fort Collins, Colorado. The purpose of the program is to prepare students to be engaged global citizens. During your time onboard the ship, you’ll choose which courses you want to take from 20-25 fields of study. Then, while on land at various ports, you’ll take relevant field classes, so it’s a truly integrative cultural experience. And don’t worry – you’ll have time to explore while on land as well, so it’s the perfect mix of learning and fun. No matter where you choose to study abroad, one thing is for sure: You’ll want to be covered by travel insurance for the duration of your stay, so you don’t have to worry about any bumps that might come up on your travels. 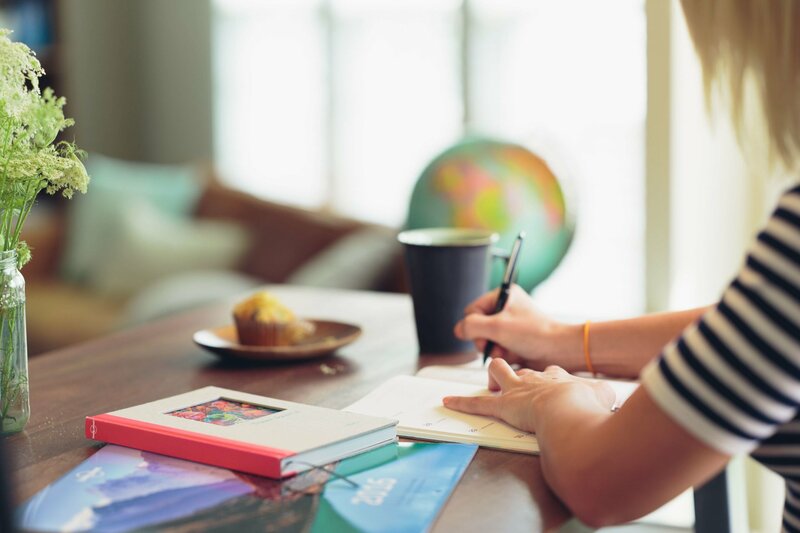 To make it easy for you to find the right insurance for your particular experience, we’ve put together information about travel insurance for student travelers here. Do you know of another destination that fits the bill for students looking to study abroad? Share the knowledge with us on Facebook, Twitter, or Instagram.